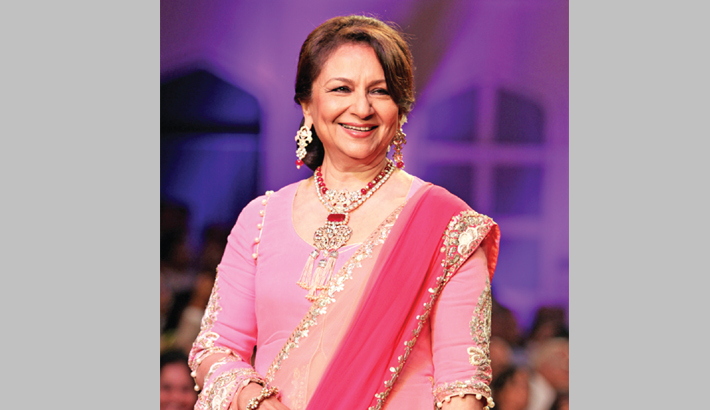 Veteran actress Sharmila Tagore has called for gender equality and said parents should realize that a girl is in no way inferior than a boy. A girl child should be treated with equal importance, the celebrated Bollywood actress of the 70s said at the concluding day of the 11th Global Doctors' Summit here yesterday. "Parents should be told that if they invest in the education and upbringing of a girl child, she will also make contributions for the family and society," Tagore said at a separate session on gender issue at the doctors' meet. Nothing will change unless people change their mindset, the Amar Prem actress said, seeking involvement of Anganwadi workers and social activists in the promotional activities for gender equality. "We have to look at the root cause. Just depending on government initiatives won't do, we must make efforts to change our attitude at the domestic level," she said. Asked if she had faced gender discrimination, Tagore said, "I was brought up in a Bengali family. We were three girls and never made to feel any lesser than men." However, when she had made her debut in Apur Sansar by Satyajit Ray in 1959, there were protests by the school and she had to finally leave the institution, the 73-year-old actress said. "But my parents had never objected to my joining films. Also, no doors got closed for me when I got married (to Mansoor Ali Khan Pataudi) in 1969. I did not face any barriers then," she said. In contrast, she said, her grandmother was married off at the age of five and had nine children. She said her mother was also not allowed to attend a co-educational institute and had to do her master's degree in private.